As you might imagine, life can be very different, depending on your choice of location to visit or live. 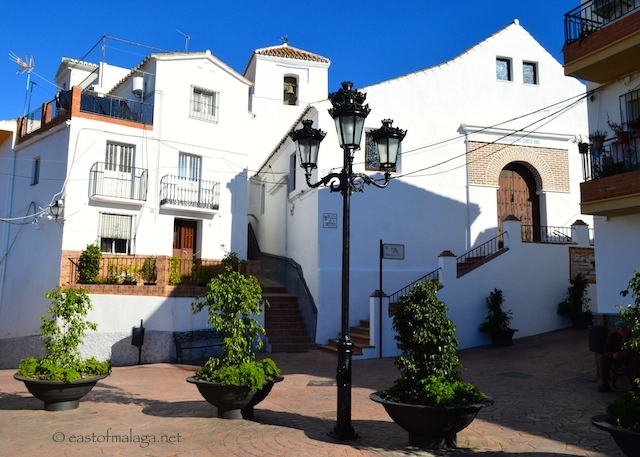 Always worth considering is that most of the Axarquía region, to the east of the city of Málaga, is mountainous with beautiful valleys running down from the inland sierras to the coastal fringe, giving plenty of opportunity to choose the landscape that best suits your needs. There are broadly three main area choices – the coastal zone (la costa), the inland villages (los pueblos) and the open countryside (known locally as “el campo”). Each has its fans and all offer advantages or disadvantages, depending on what you are looking for. In this series of articles entitled “Axarquia: Coast, Villages or Countryside” we are exploring each in turn, to give you a flavour of what you can realistically expect in the various landscapes. Last time we looked at the coastal region, so now we will consider what holidays, or more permanent life, is like in our inland villages. 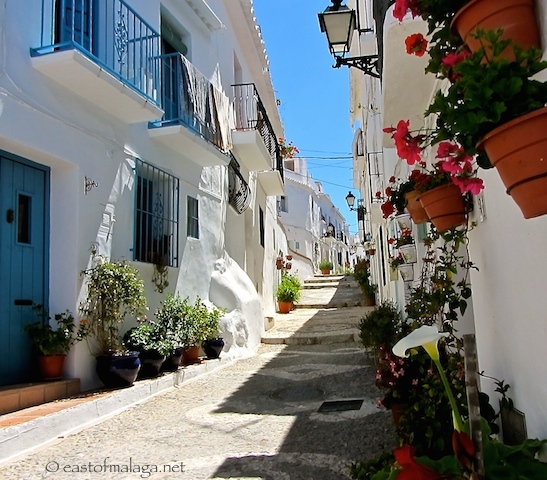 Almost anyone with a passing interest in southern Spain knows that they are usually referred to as the “white villages”, and the Spanish translation is almost as well known, “pueblos blancos”. Once you have seen one of the white villages you can easily understand that they could not be named any differently. Every house is whitewashed in the traditional way using slaked lime (which is a white dust) mixed with salt and water and then painted onto the houses. This is a cheap and durable alternative to paint, and has the joint advantage of making them look typically Andalucían and, at the same time, by reflecting as much of the summer sun as possible, helping to keep the interiors a little cooler. The rooves of these village houses are typically covered with red or brown tiles. Many of these ancient villages date back many centuries and were mostly originated by the Moors, who came over from North Africa and formed the Moorish kingdom of Al-Ándalus in this part of Iberia, between 700 and 800 AD. They resided here until driven out by the Catholic armies almost 700 years later. The Moors were an advanced race who introduced many of the ingredients now typically used in Spanish dishes – such as rice, saffron and almonds. They knew how to build and manage irrigation systems and many of the villages were built where they are because there was, and remains to this day, irrigation from the porous mountain rock which is vital throughout the long hot summers for making agriculture possible. So, what is life like here? The villages are rarely built on flat land so they can usually be described as “tumbling” down the hillsides. This means that the streets are often steep, curving and twisting their way around the village, often with little side passages which, if you investigate, also contain terraces of houses, some accessed by steep steps. Many of these old houses have, at street level, a short flight of steps going up to the living space with a low doorway to one side giving access to a semi-basement, which would have been the place where livestock would have been kept. Mules are still used in many of the villages as a means of transporting goods up the steeper streets, where there may be no access for vehicles. 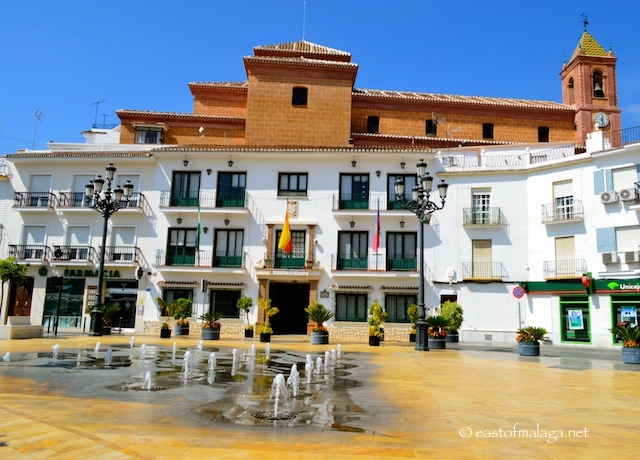 What is true of most Spanish cities and large towns is also true here, with the church usually forming the focal point of the village, often with a nearby square, called La Plaza. Wherever there is a square there are cafés, bars and local shops nearby. Of course, facilities vary from village to village regarding gift shops and the like, but usually there will be many places selling local produce and groceries. I’m always intrigued when I see a little shop in someone’s living room! Most villages have a visiting street market each week, where local traders sell a wide variety of goods including freshly-picked fruit and vegetables. You’ll no doubt find the doctor’s surgery or Health Centre, a school, the Post Office – which will probably only open for a couple of hours in a morning, plus a variety of shops and bars. You may be surprised to discover perhaps, that in even quite remote villages it would be very unusual not to get good quality coffee, wine or beer and a good range of tapas or more substantial meals – often at a cheaper price and with no interruption from the sunglasses/fake DVD sellers you encounter down on the coast. Many villages have their own speciality produce, for example Periana has delicious peaches (melocotón), Sayalonga is the centre for the medlar fruit (nispero) and Alcaucín celebrates an ancestral tradition each October, paying tribute to their typical fruit, the chestnut (castaña). Some areas around the village of Cómpeta are well known for their sweet Moscatel grapes, most of which are used to produce the local wine, but many are dried in large open-air drying beds under the late summer sun and sold as pasas, which are large juicy raisins. During recent years, many people from other parts of Europe have discovered these inland areas and, for some, seeking this kind of life has resulted in many white villages now have quite substantial cosmopolitan populations. For the largest expat communities here in the Axarquía (usually, but not exclusively northern Europeans), choosing life in one of the villages can often mean looking for something different to those who choose the coast. There are various ways to express it, but if I said they were looking for a more authentic Spain, it might make it clear what is meant. 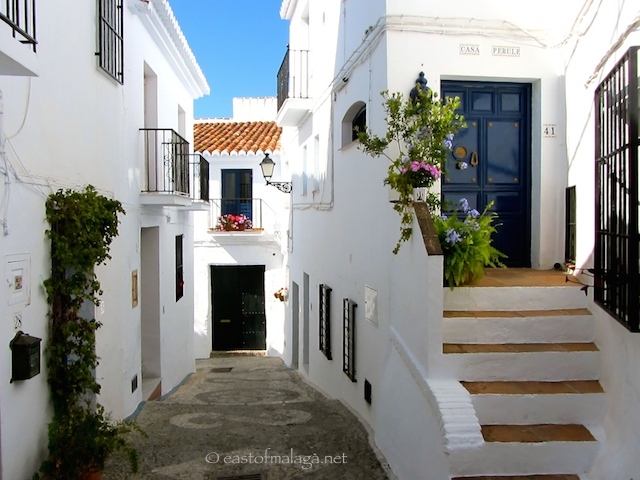 The English language is not as widely spoken as down on the coast, so if you spend time in these lovely white villages it helps if you can speak a little Spanish, to get you by. If you can adopt an outgoing manner and try speaking the local language (even if you make lots of mistakes), you will find that your efforts are appreciated. You will be rewarded by friendly neighbours, who will often turn up at your door with gifts of their food, or you may find bags of lemons, onions or other such locally-grown produce, hanging on your door when you get up in a morning. One thing common to life in Spain is noise. Not unpleasant or offensive, but the commotion of life that the Mediterranean races generate. Motor bikes (motos) are one such source, but just as common is any excuse for a fiesta or the setting-off of fireworks. 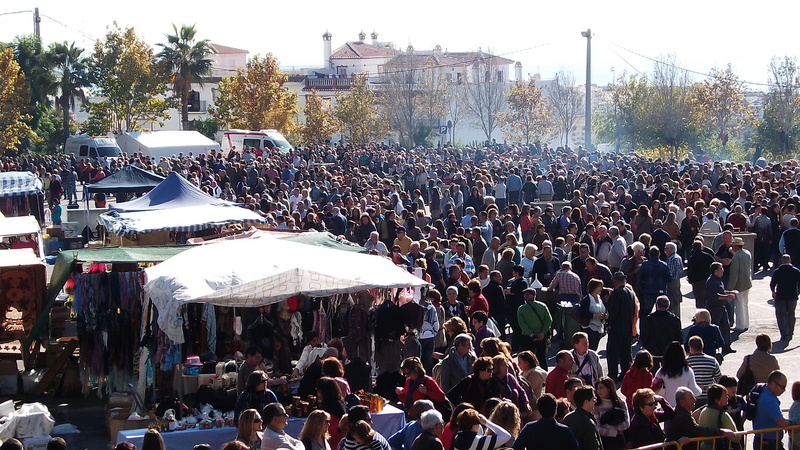 How the Spanish love their fiestas and, living so close to your neighbours, you can’t help but join in to feel a real part of the community. Families and friends might stop to have a chat or admire a baby, and if that happens to be in a shop doorway, then so be it – you wait. Deliveries have to be made by vans and trucks where most village streets are quite narrow so, while this takes place, everything else comes to a stop. A small queue of traffic builds up, but that is how it is – you wait, no problem, no rush. There are a couple of phrases you often hear which indicate the mentality of life, “no pasa nada” (roughly translated as – it doesn´t matter) and “poco a poco” (little by little), in other words, “do a bit today and do a bit more later”. Life here is very civilized and public mis-behaviour is a rarity. Maybe this is because children and teenagers never get the run of public places, like they do in the UK. Fathers, grandfathers and especially the womenfolk are a permanent presence and they would soon bring inappropriate behaviour to an end. 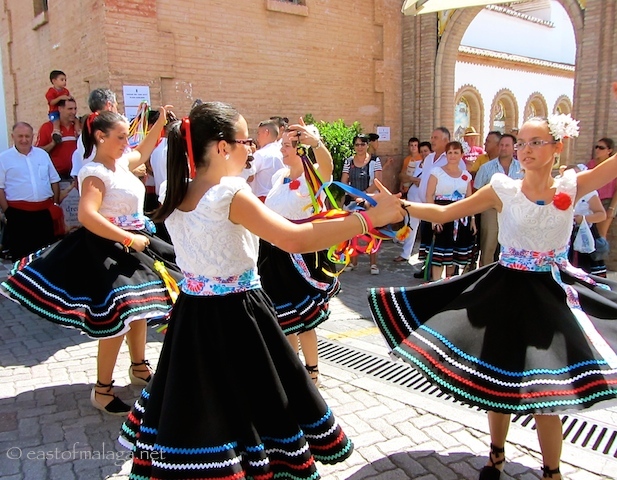 The local children are brought up observing and joining in with all local traditions, fiestas and festivals, so to them this has always been a part of their lives. You’ll never find any sense of threat if you walk through the village on a dark night – indeed you will see many windows and doors wide open with either no occupants in sight, or a little old lady wearing a shawl sitting in her chair watching the world go by. Most people will say hello as you pass them. There is a strong sense of community, with everyone coming together to celebrate fiestas, carnivals and religious events. Family bonding here is, in many ways, like stepping back in time – by fifty years. You might need to bear in mind that the higher you go into the hills, the chillier it will be on winter nights, but also the air will be fresher on hot summer mornings. Not so long ago, many villages were largely inaccessible, with the only form of transport being the mule, but these days there are adequate tarmac roads giving good access to even the most remote of inland areas. As I mentioned in my previous article about the coastal region, most major Spanish supermarkets, shopping centres and the cinema are nearer to the coast and as far as public transport from the inland villages goes, there may only be a couple of buses each day, down to the coast or Málaga – so it’s probably better if you have access to your own car, or at the very least, know the bus schedules before you make your decision. This kind of authentic lifestyle suits many expats and visitors, where money tends to go further when buying or renting property than on coast. 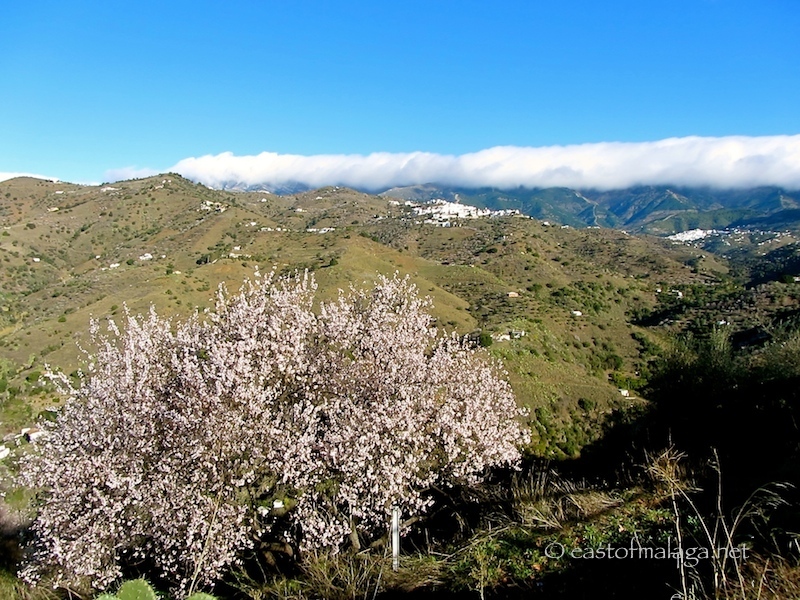 Pretty much anywhere in the Axarquía is less than one hour to Málaga airport, and half an hour at most from the beach. Good roads mean that within a couple of hours you can be in Granada, Ronda or Córdoba and there is a constantly developing range of rural activities being offered to visitors including horse riding, cross country expeditions on motorbikes and bicycles, hiking and much more. The surrounding countryside is beautiful and usually accessible for walking. Even if you would still prefer to base yourself near the coast, you would be missing a great deal of what I have already described as “The Real Spain” if you didn’t venture inland and see a way of life, some aspects of which, have not changed in a long time. Give it a try – you may be surprised how beguiling this kind of life can be. 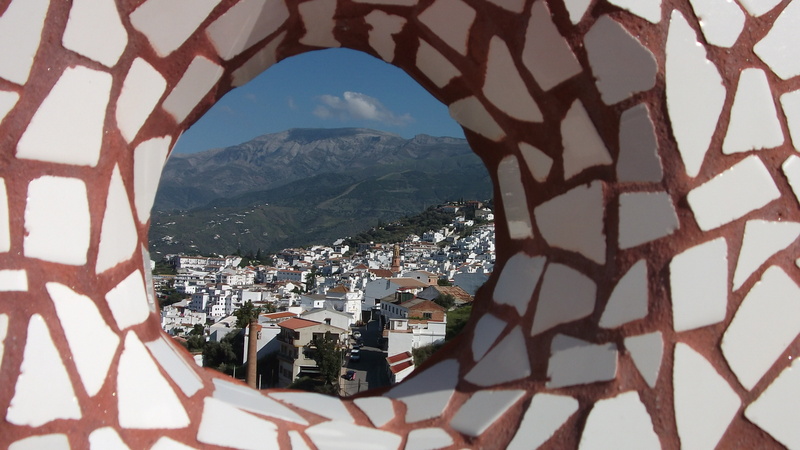 This entry was tagged Andalucía, East of Malaga, Europe, life, Malaga, photography, Spain, travel, white villages. Bookmark the permalink. Thanks for your very kind words, Patricia – I’m afraid I couldn’t hide my affection for this area, even if I tried! Yes a lovely view of inland living, thank you. We loved living inland but were still only 30 minutes drive to the coast. Having said that, that particular twisting road down to the coast was a challenge to visitors or those who are not used to this kind of road and as you said, knowing how you’ll get around is an important consideration. 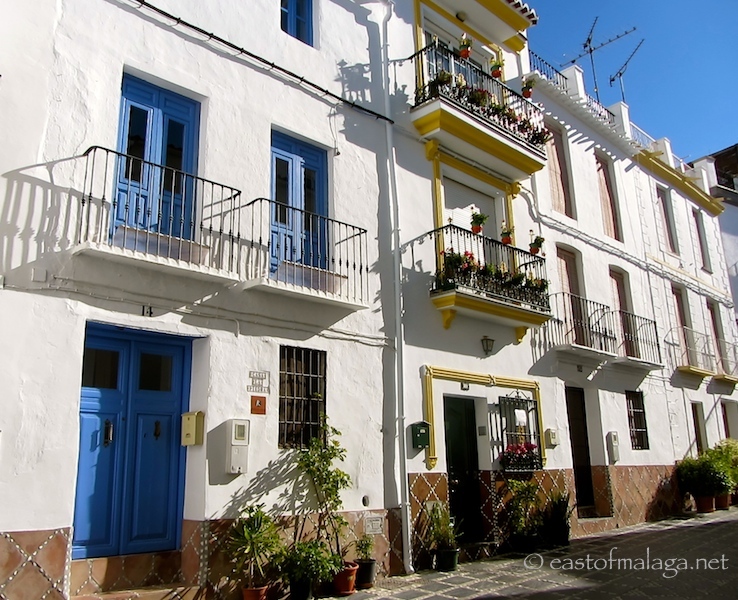 Thanks Marianne, another great blog and very relevant as this week and next we are visiting a few of these villages on our house hunt, including Torrox, Comares, El Borge although Benamocarra not as pretty may prove to be the most practical. We will investigate further and look at others. What a lovely blog about a lovely area. As a Spaniard, I think you have described our way of life really well. After 30 years living in England, I am very glad to know that ‘young people’ haven’t taken over the running of the place and that there are still adults controlling their behaviour, not just their parents, but any villager having the right to keep them in check: that’s how it’s always been and it works in order to produce well adjusted and civilised adults. 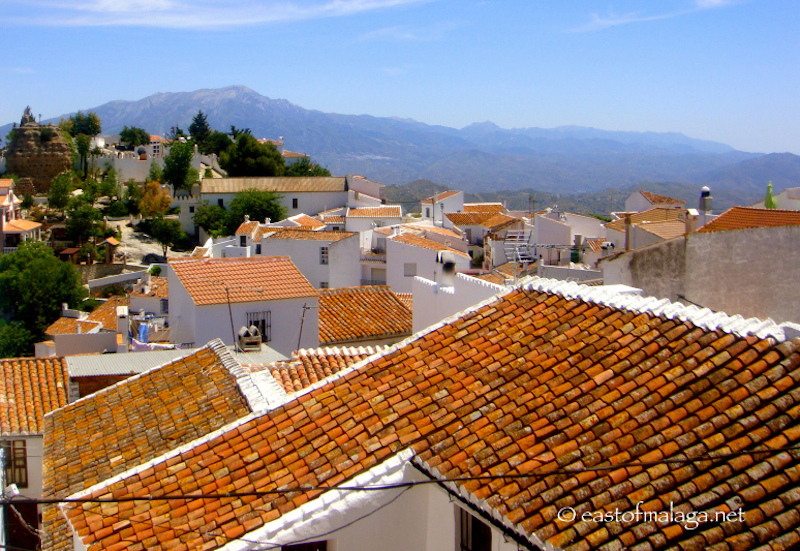 You really do provide a fab insight to life over in Andalucia and the cost of living blog is so helpful. We are flying out in October to stay in Almachar with a view to purchasing a property in Cutar hopefully Jan / Feb so I will be absorbing every blog you write. Oops I posted twice, sorry! YEs, living around the corner from there and thanks, maybe paths will cross sometime. Gorgeous pictures! Wish I was there! Hi Marianne. Wish we had a car, so we could go and visit all these places. Occasionally we will feel adventurous enough to wrangle with the buses and their schedule (fortunately there are buses for carless people like us), but most of the time it’s just such a drag that we end up staying home. Actually, that’s a very good point, Serena. I’ve now added a paragraph about the transport situation to/from these villages. Depending on how remote the village is, there might only be one or two buses a day. What a lovely write-up about “The real Spain”. I would love to visit! Wow! What a great post about life and living in this lovely area! Thank you! Beautifully written and so well observed – your love for this part of Spain and your integration to this way of life shines through!